Let’s test Blithe Blue Zone Marine Intensive Mask Abalone from Korea. 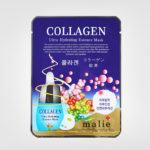 A deeply hydrating sheet mask packed with marine collagen. Here’s my review! 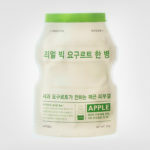 Blithe Blue Zone Marine Intensive Mask Abalone is a Korean sheet mask packed with marine extract from the Jeju Islands. 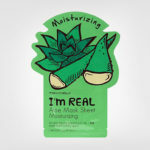 This sheet mask is all about intense hydration. “Abalone” meaning mineral complex, amino acids, proteins and fatty acids. 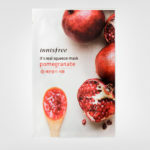 Along with ingredients like hyaluronic acid, peptides and marine collagen, this sheet mask is strengthening, stimulating collagen production, helps skin elasticity, treating wrinkles and lines. For an overall improved appearance and healthy looking skin. The sheet mask itself is made out of 100% bamboo fiber and is soft and gentle without irritating the skin. 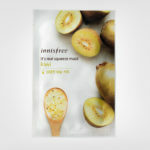 This sheet mask contains an entire 25gr essence. This is the very first product I try from Korean brand Blithe. I had no expectations what so ever but to try this sheet mask with an open mind. The packaging is kinda special, looks almost like a small poster or a book. Exciting! As soon as I opened the packaging of Blithe Blue Zone Marine Intensive Mask Abalone, I felt the incredibly refreshing scent. I was immediately excited to apply this sheet mask to my face. A kind of marine scent with a hint of purifying citrus. Mild, fresh and “clean” scent, not too heavy just perfect. 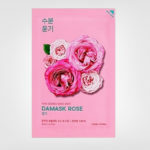 If you are sensitive to fragrances though, then maybe this sheet mask is not for you. 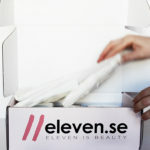 The essence is very thin, translucent & wonderfully fresh. Blithe Blue Zone Marine Intensive Mask Abalone sheet mask was easy to unwrap and the mask was completely soaked in lovely fresh hydrating essence. Actually an entire 25gr of essence. This sheet mask doesn’t drip unbelievably enough, but it’s just a lot of essence going on. 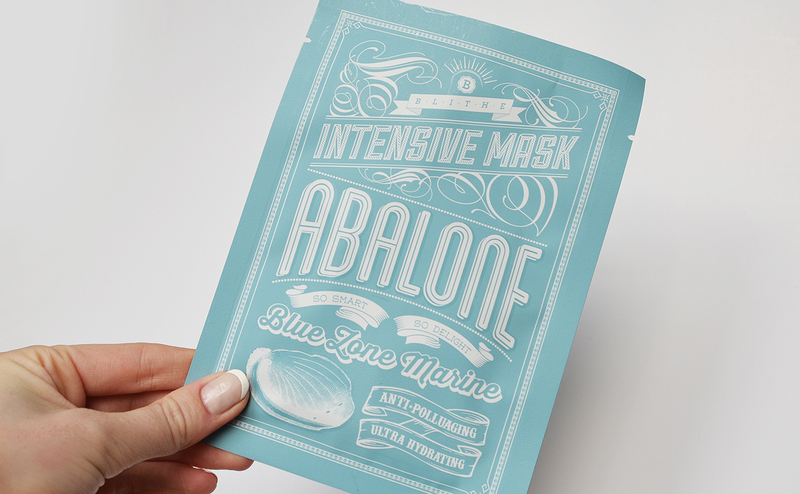 Blithe Blue Zone Marine Intensive Mask Abalone has a good fit to the face with several small cuts around the edges. 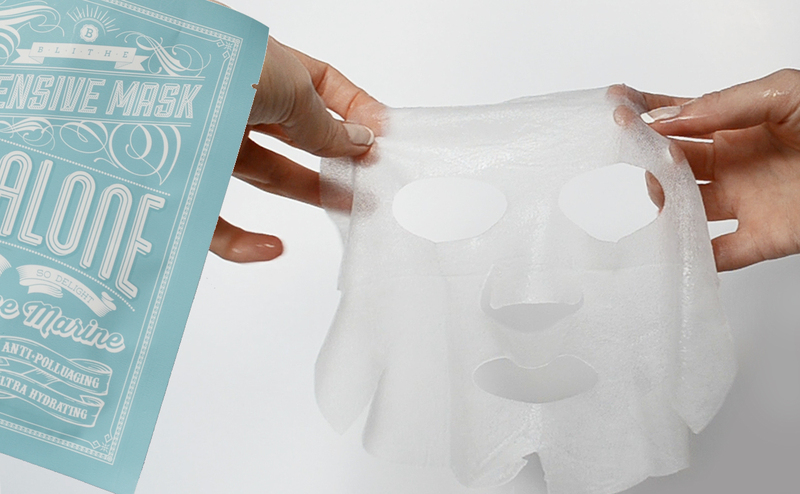 It’s easy to get the sheet mask to sit tight around the entire face. The mask is made out of 100% bamboo fiber and is soft and comfortable to wear. 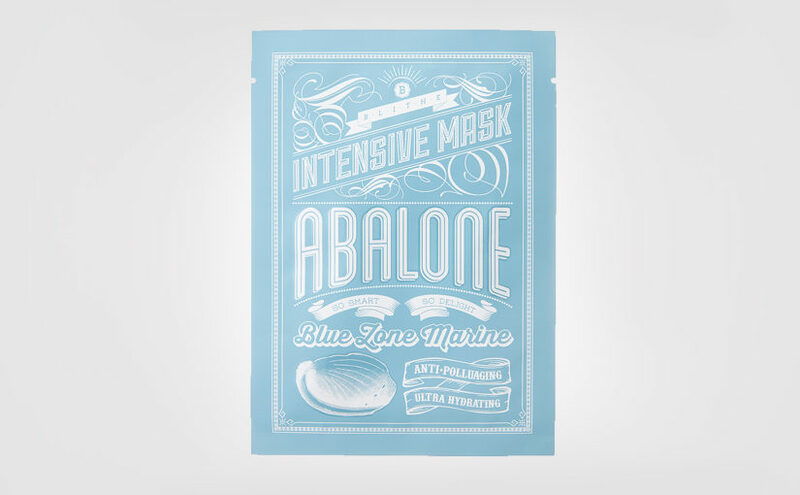 I just love Blithe Blue Zone Marine Intensive Mask Abalone sheet mask! 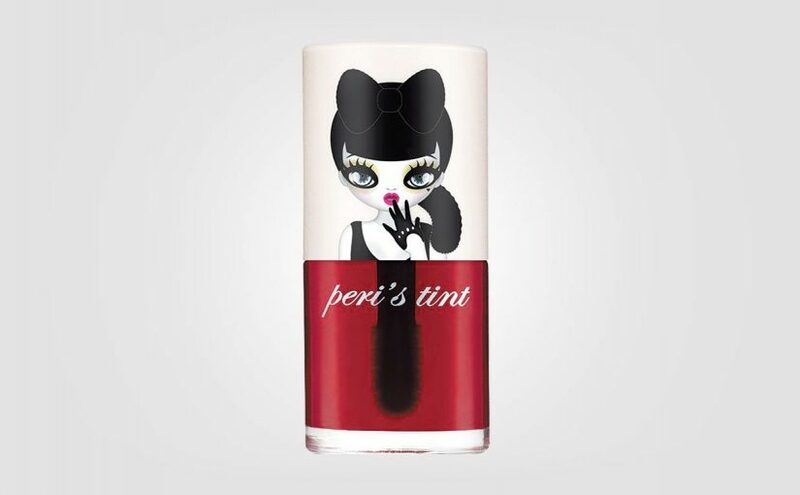 So incredibly refreshing and cooling feeling on the skin, really nice! Both the essence and the very scent feels very clean and fresh. The application time for this sheet mask is 15-20 minutes, but I kept the sheet mask on my face for a little bit longer than that. 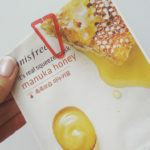 When I removed the sheet mask, my skin was completely moist and fully and thoroughly hydrated from the inside out. So good you guys! I patted in the remaining essence which was absorbed in a few minutes. Not very sticky feeling at all, and the skin felt really cool and fresh. After 5-10 minutes when all the essence was completely absorbed, the face felt nourished, and almost an oily kind of feel, but in a good way. A great surprise and so nice. I feel that Blithe Blue Zone Marine Intensive Mask Abalone really makes a difference in my skin which is absolutely great! Blithe Blue Zone Marine Intensive Mask Abalone is a very good quality Korean sheet mask. Great in every way, I’m completely 100% sold! 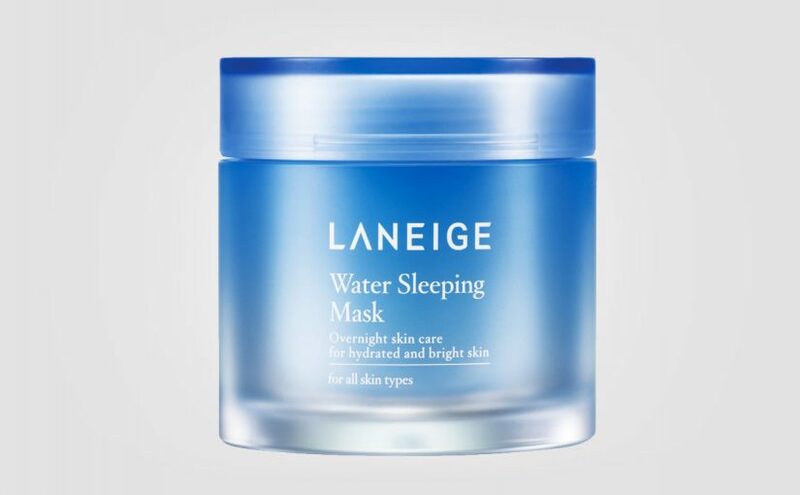 I would say that Blithe Blue Zone Marine Intensive Mask Abalone is mainly suitable for dry skin types, combination skin and mature skin that needs nutrition, moisture and glow. Might be too much for oily skin types due to the somewhat “smeared” feeling afterwards. 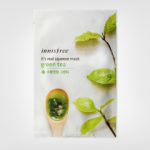 The sheet mask is also suitable for sensitive skin which is great. I think this sheet mask works best in the evening. 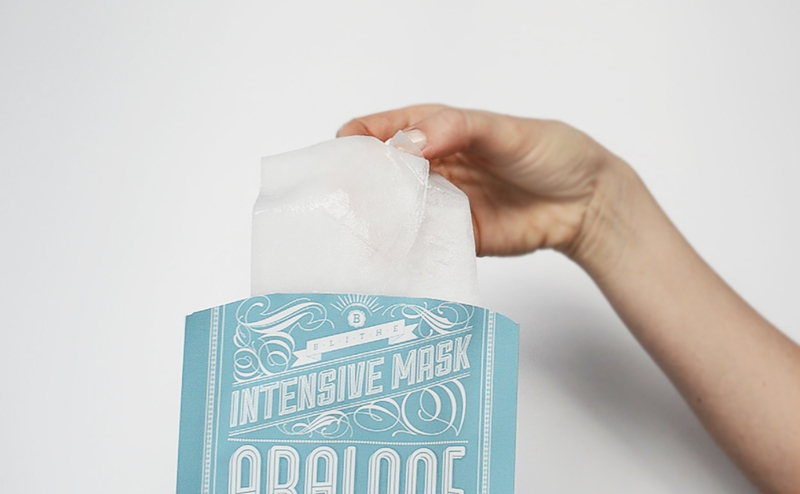 You don’t really feel like putting on makeup after this lovely softening mask! You don’t even need face cream at all actually. The skin feels similar to after having a treatment at the SPA. Not for those who doesn’t like to feel a bit “smeared”. This mask lives up to its promises! Costs from about 4 euros / pc with free shipping from Korea, and often sold in pack of 8-10pcs. And it’s SO worth it you guys! I have nothing to complain about actually. Blithe Blue Zone Marine Intensive Mask Abalone is a really good and fresh Korean sheet mask that moisturises and hydrates the skin thoroughly and deeply without feeling greasy or sticky. Top ratings from me. I can’t see anyone who wouldn’t appreciate this Korean sheet mask. I love it and I’m 100% sold! Blithe Blue Zone Marine Intensive Mask Abalone sheet mask is an intensive treatment that moisturises and boosts the skin in every way. This is like luxury home SPA my friends. 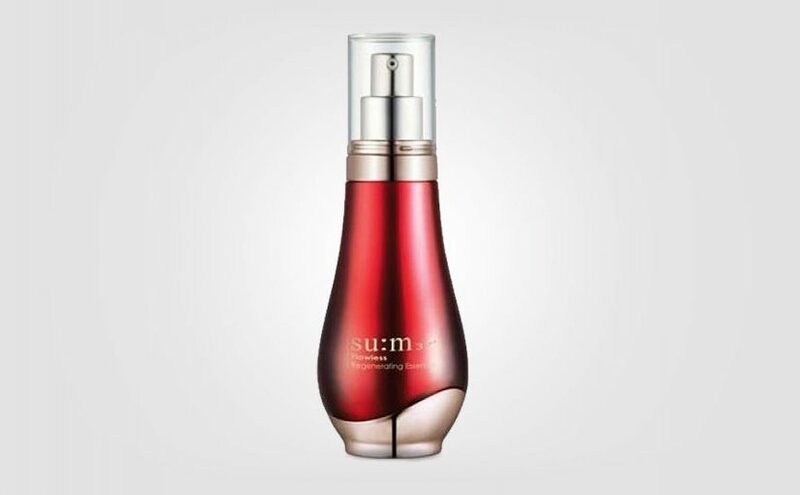 Formula: Ingredients like mineral complex, amino acids, protein, fatty acids, hyaluronic acid, peptides and marine collagen. 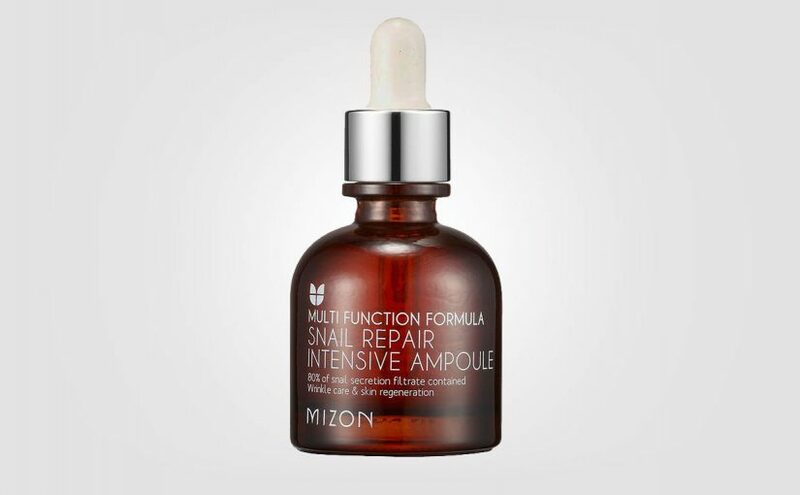 Strengthening the skin, stimulates collagen production, improves skin elasticity, treating wrinkles and lines. Improve the skin’s surface and overall appearance. AlSkin type: All but oily skin. Also for sensitive skin.